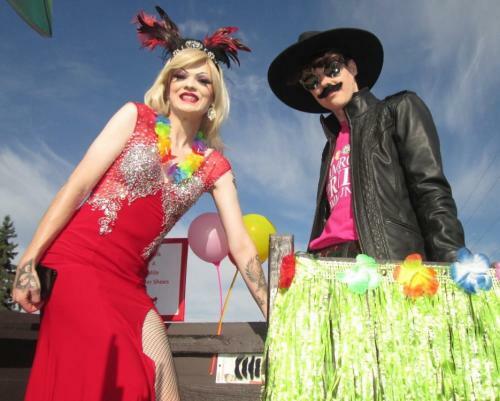 Add your input to our plans for an exciting Pride Week at the end of February and for a fundraiser on the Family Day Long weekend. There are lots more exciting plans in the works! 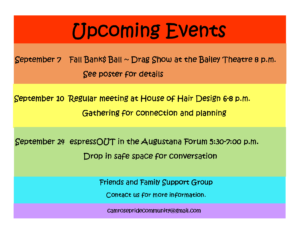 All LGBTQ2S+ people and allies are welcome! 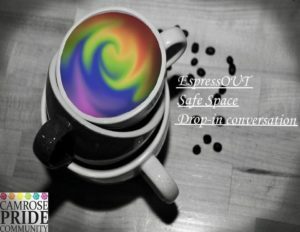 All LGBTQ2S+ people and allies are welcome to this conversation group. 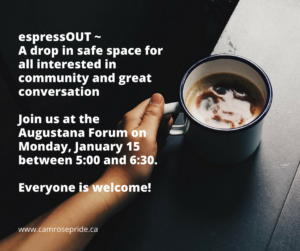 Drop in to the Augustana Forum for conversation on Monday, November 20 anytime between 5:00 and 6:30 pm. 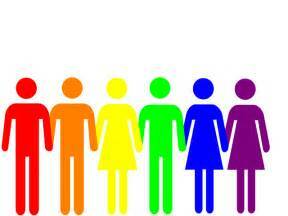 All LGBTQ folks and allies are welcome.